Do you feel like your office is lacking something to draw people’s attention? Do the walls look a little bare or have a vibe that something isn’t quite fulfilled? Why not install a large format wall mural? 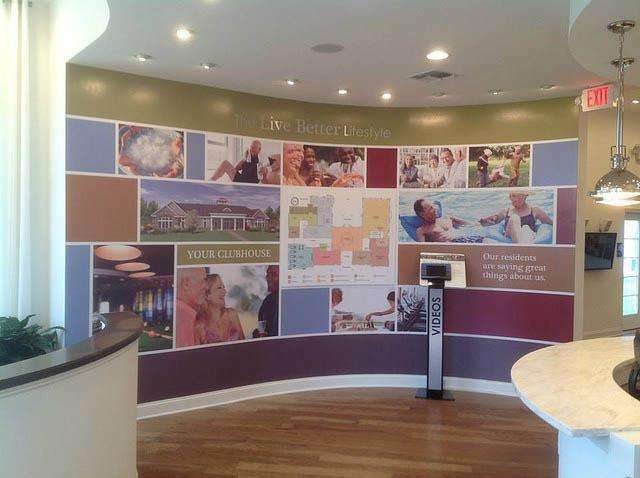 Custom wall murals from SpeedPro can help make your lobby area or meeting room a new center for attention. Their vibrant colors and large stature become the topic of conversation and can easily represent your business’s values and message. If your business is located in Nashville, Franklin or Brentwood, come check out our studio today! We can get started with a consultation to understand your marketing and branding needs better. 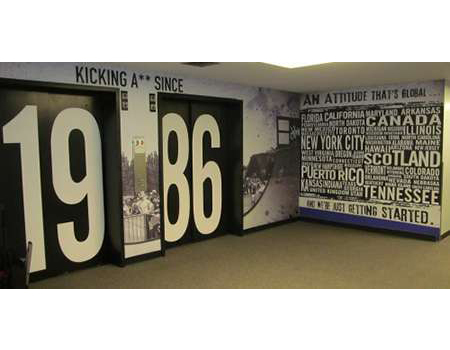 Large format wall murals can dramatically emphasize your brand in whatever space they’re situated in. Our ink technology allows us to create vivid and bold colors, no matter how big or small you choose for your mural to be. When we sit down for a consultation, we’ll ask you two things: Where do you want your mural, and who do you want it to reach out to? We can mix and match your answers here to provide you the solution you need to make the right impact. 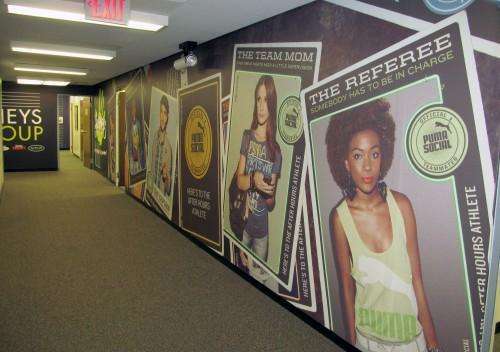 If you’re looking to connect more with your customers as they walk into your office or building, consider inserting a printed wall mural in your lobby area or in a highly accessible hallway. When a customer takes that first step into your waiting area, their eyes will immediately latch onto this new piece of decoration that’s taking up the room. We can brand this mural to show off the values of your company or even some featured products you currently offer. This strategy will allow the customer to feel invited into your business and make them eager to explore more. On the other hand, you might work in an office where your employees feel a little unmotivated or out of it. You can install a vinyl wall mural into their working space to provide a reminder of why they work there and what their work can do for others. Or maybe you have a lot of meetings in a conference room, and you want to keep people excited while going through business deals. A printed wall mural in the background of your meeting space can help keep a business-like vibe in the room, which can motivate your discussions and center them on your business’s mission statement and valued goals. 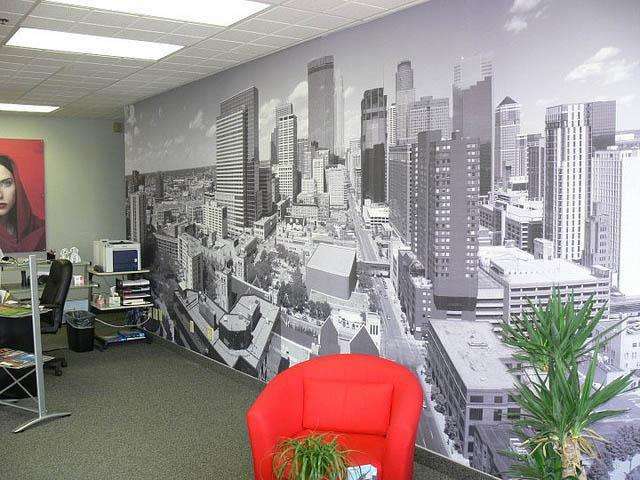 Whether you want one wall mural or five, SpeedPro Imaging Nashville South will work to make sure your vision for a well-branded office is delivered to your specifications. We include you in every step of the design process to make sure you’re receiving the quality product you’re hoping for. At SpeedPro, we print our wall murals onto vinyl, which enhances the vivid inks to stand out in whichever setting you’re in. Paired with our highest-strength adhesive, your wall mural can stay on your wall for up to seven years, ensuring durability and a long lifespan. If you’d rather have a more temporary mural in place, we can adjust the type of adhesive we use. Either way, our vinyl wall murals are absolutely built to last without needing a replacement. If you’ve been wanting to add another piece to your lobby or conference room but weren’t sure what you needed, let us contribute a large format wall mural! Contact our studio today, and we’ll set up a consultation to begin our design process.